January 18, 1972 –A heavy cordon of police is stationed around two water filtration plants after two young men are arrested and charged with plotting to poison the city’s water supply with typhoid bacteria. Charged with conspiracy to commit murder are Allen C. Schwander, 19, and Steven Para, 18. Both men are arrested in an apartment on Fairfield Avenue in Evanston. 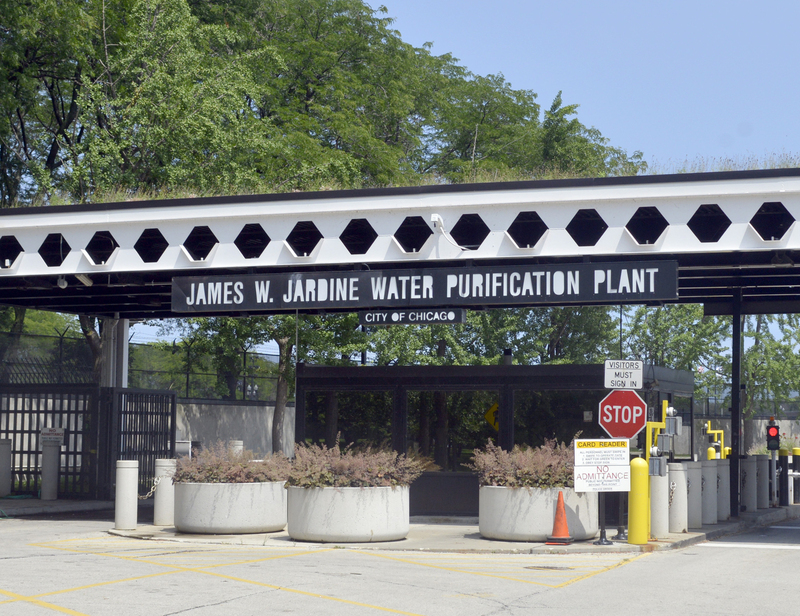 States Attorney Edward V. Hanrahan says, “Investigation disclosed that an organization called ‘RISE’, of which Schwander and Pera were organizers, had allegedly planned poisoning water supplies and spreading deadly diseases in Illinois and elsewhere. Member of ‘RISE’ were allegedly to be inoculated and immunized enabling them to survive … and to form the basis of a new master race.” [Chicago Tribune, January 19, 1972] Deputy Police Superintendent James Rochford reassures the public, saying, “There is no evidence at this time that these people [the two arrested] have the ability or capability to carry out the act.” Mayor Richard J. Daley underscores Rochford’s declaration. “The city’s water is safe and all necessary steps to protect the water in the future will be taken,” Daley says. Bond for the two men is set at $250,000 for each. January 18, 1954 – The Vice-President of the Columbia Broadcasting System, H. Leslie Atlass, announces that the network has purchased the Chicago Arena at 630 McClurg Court for $1,500,000 and plans to convert it into a “television city.” [Chicago Daily Tribune, January 19, 1954] Four studios will occupy 50,000 of the 87,000 square feet in the facility. The remainder of the space will be used for scenery and maintenance shops, storage areas and facilities for film processing. WBBM-TV will then vacate its current studios at the State-Lake building at 190 North State Street and the Garrick Theater at 64 West Randolph Street within the year. The Chicago Arena, designed by architect A. N. Rebori, was used for ice reviews, tennis matches and other sporting events. It was finished in 1924 at a cost of $800,000 and was originally called the Chicago Riding Club. The building achieved a historic milestone on September 26, 1960 when John F. Kennedy and Richard M. Nixon met in the first televised presidential debate in history. The building was demolished in 2009, and in December of that year the Rehabilitation Institute of Chicago bought the site. On March 25, 2017 the Institute opened the new building, the $550 million Shirley Ryan AbilityLab on the site, serving patients who need extended care and rehabilitation services after they leave traditional hospitals. The Chicago Arena is pictured in the black and white photo above. The new AbilityLab is shown on the site in the photo below that. January 18, 1951 – Virgil E. Gunlock, the Chicago Commissioner of Subways and Super-highways, announces that Herlihy Mid-Continental Construction is the lowest of five bidders on the project to extend Wacker Drive between Madison and Washington Streets. The company submits a bid of $1,076,493 for the work. This will be the third of eight blocks in the 12.5 million dollar project to construct the two-level extension of Wacker Drive from Lake Street to its connection with the Congress Expressway to the south, which is itself in the final stages of construction. 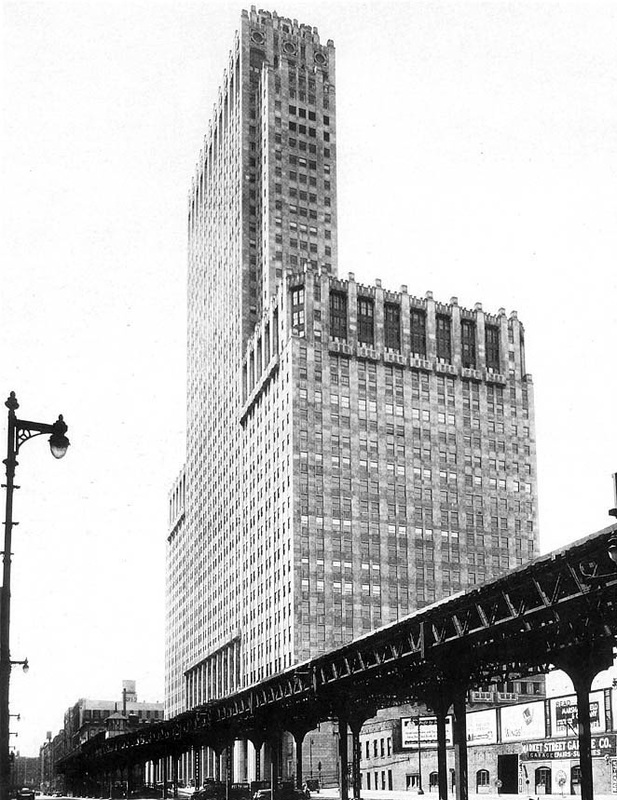 The Market Street stub of the elevated line, pictured above, ran south along the route of Wacker Drive, formerly Market Street, and had to be removed in order for the project to be completed. January 18, 1945 -- Agreement is reached between Chicago and airline officials in a plan to build a new terminal building at the city airport, today's Midway International Airport. Scaled way back from what once was proposed as an elaborate $1,750,000 terminal, the new proposal called for a building about 1,400 feet long, costing $470,000. The airlines agree to bear the cost of the new building, along with loading areas, taxiways, and parking places, getting the city to repay the investment by remitting the cost of landing fees over a period of ten years. The city architect, Paul Gerhardt, Jr., will design the building. Each of the eight airlines using the airport agree to rent space at $2 a foot, and a share of the cost of construction will be assessed each air line based on the ratio of its scheduled flights.